Setting goals not resolutions. And my word for the year. Well, here we are. On the other side of waiting. What do you do when you come to the end of a very long waiting season? For the past three years we were waiting. For a positive pregnancy test. For a heartbeat. For a baby to keep growing. For a hope to remain. For God to hold us. For God to answer our hearts desire. For the next prenatal appointment. For nausea to end. For sleep to come. For labor to start. For our son's first cry. Almost six weeks of holding, nursing, smelling, touching this new little life that God has graciously given us. And aside from the crazy hormones of postpartum, my heart feels like it's grown and healed in these weeks more than it has in the past few years. I am in awe each day and night that we have three sons. After so many months of wondering and waiting I am still in awe that he's here. This morning as I was editing photos from his first couple weeks, I'm reminded of a few verses that are on my heart. "One generation shall commend your works to another, and shall declare your mighty acts." Oh God, how I want to cry this out. Your works are MIGHTY. Even in the waiting, You are working, and I am so grateful for this. I want this verse to be what others see in my heart. "For you formed my inward parts; you knitted me together in my mother's womb. I praise you, for I am fearfully and wonderfully made. Wonderful are your works; my soul knows it very well." I can't help but look at all the little parts of our Theodore and see how he was made in secret. All those months of feeling him, I couldn't see or know how God was forming him. And he is made fearfully and wonderfully by a Creator we pray he seeks with all his heart. I pray we share the love of Christ in a very real and big way in his life and his brothers. What a wonderful reward children are from the Lord. My heart is full. 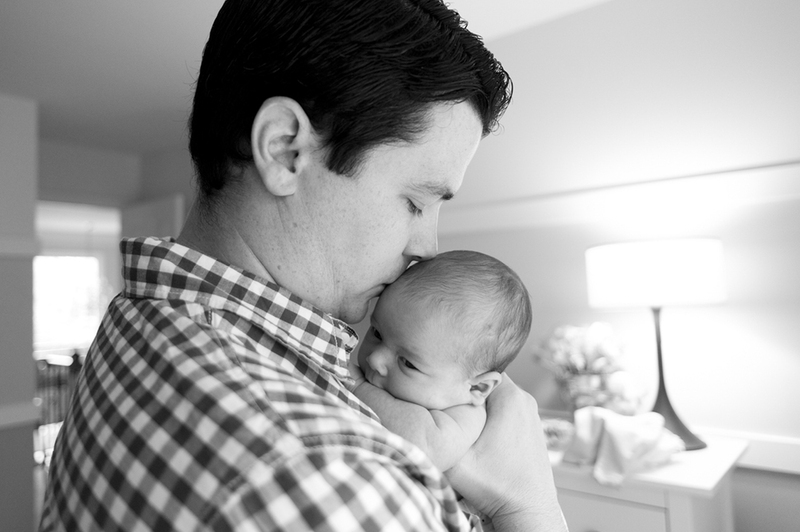 Even more so, I love shooting a photo story of a newborn! When it's a first-time parent, it's neat to watch them adjust to having a baby in their home and in their life. When it's a second-time parent, or third or fourth, there is a change. A calmness, a more relaxed approach to welcoming a newborn into their home. I love watching parents in either of these stages, because it reminds me of my own experience of becoming a mom. It's a very special time that goes by so quickly (even quicker the second time), but having those first days documented are something that you will cherish in the months ahead. You forget the lack of sleep, the continual feedings, the first days of seeing your children bond, and the smallness of what a newborn feels like. When Kelly asked me to do their newborn session for Susanna, I was so excited! I had done their newborn session for their firstborn, Judah, and I knew that with a baby girl in their family it was going to be a very sweet change for them. I love their family, and I love their cute little kiddos. They are clients who we now consider to be friends and it was an honor to capture some of Susanna's first photos. Thanks Kelly, Jack, Judah and Susanna! After our trip to France, I was really, really wanting to try my hand out on a personal everyday shoot before we had to return our rented Fuji x100t. I love shooting stories and of course if the story has a new mama in it, it becomes even more personal to me (a gal with a huge heart for motherhood). My friend Lily and her hubby Scotty had just welcomed their first son, Sawyer, into the world, and I had the opportunity to take some very new, first photos of their little bean. It was a sunny morning, Sawyer was as sweet as could be, and these new parents are easily fitting the new shoes of "mom and dad". Thanks Lily and Scotty for letting me step into your lives briefly during these precious early days!